La Spezia, Italy, 5 April 2018. In the lead up to the European Cetacean Society’s Conference on 8-10 April, the IUCN SSC/WCPA Marine Mammal Protected Areas Task Force has held a one-day invited expert workshop to identify new candidate Important Marine Mammal Areas (cIMMAs) for the endangered Mediterranean monk seal, Monachus monachus. Previous IMMA workshops in 2017 had identified Hawaiian monk seal (Neomonachus schauinslandi) habitat in the Pacific and in 2016 Mediterranean monk seal habitat in most of the Mediterranean. The new workshop was a chance to complete the picture especially around Greece and Italy in the Mediterranean and extend it to the two known subpopulations living in the northeastern Atlantic—around Madeira and at Cabo Blanco, in Mauritania and Western Sahara. The IMMA Extraordinary Workshop for the Mediterranean Monk Seal brought together 10 experts from Greece, Spain, Madeira, Italy and the UK, and a number of others were consulted by email. After completion of the submission forms in the next weeks, the new candidate IMMAs will go to the independent reviewers for assessment and potential approval as IMMAs. They will then be entered on the IMMA e-Atlas. Various Areas of Interest (AoI) for the monk seals in the species’ range including possible outliers in eastern Mediterranean and across North Africa were also discussed and in some cases updated.  This 4th IMMA workshop, sponsored by the MAVA Foundation, utilized an expert-based process with selection criteria devised by the Task Force, in consultation with the marine mammal science and conservation community. IMMAs are defined as discrete habitat areas, important for one or more marine mammal species, that have the potential to be delineated and managed for conservation. Besides the Mediterranean and Pacific Islands workshops mentioned above, in March 2018 the Task Force held a week-long workshop in Borneo for the North East Indian Ocean and South East Asian Seas. In 2019-2021, the Task Force is planning additional IMMA workshops for the western Indian Ocean and Arabian Seas, Australia-New Zealand waters and South East Indian Ocean, and the South East Tropical and Temperate Pacific Ocean. For more information, please look here.